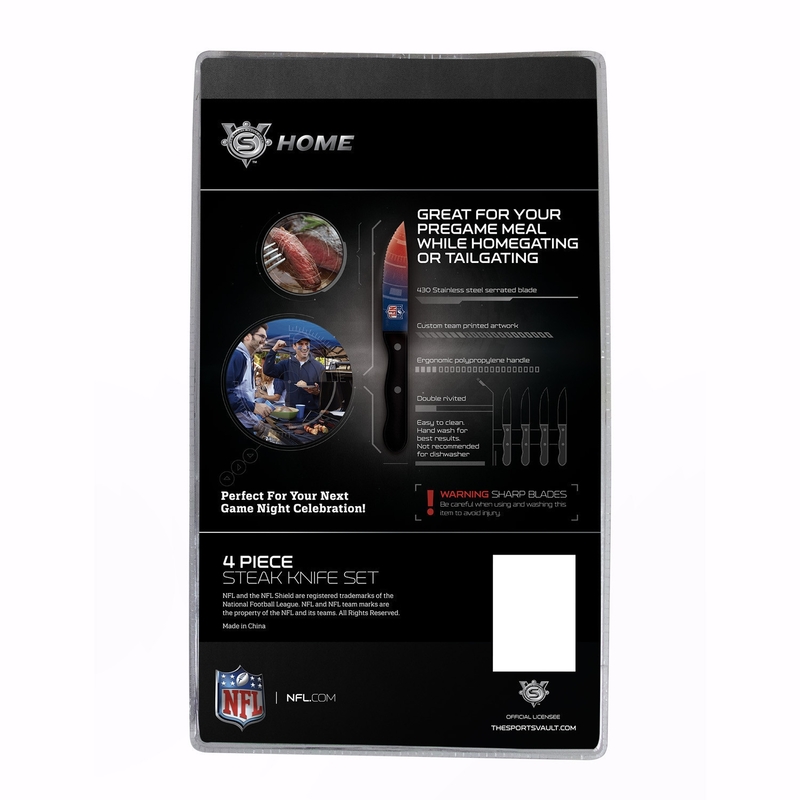 Celebrate the home team at every barbecue or tailgate with the Cleveland Browns Steak Knives Set of 4. 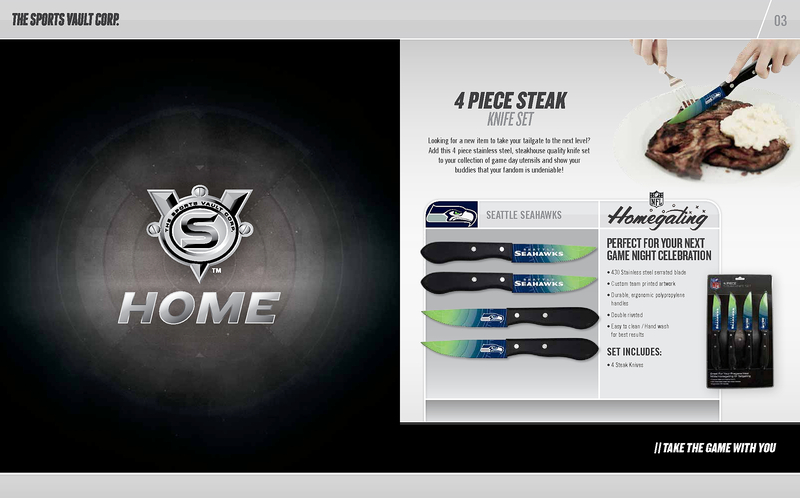 Unlike imitation flatware, these knives are officially-licensed by the Nfl. They feature unique artwork and graphics that extend from the hilt of the handle to the tip of the blade. The blades have been dipped in surecoat to protect the graphics and ensure they maintain their brilliance for as long as possible. With a serrated edge on the knife, you will never need to worry with sharpening your stainless steel blade. The handles are made of a polypropylene material, which is no-slip and soft-grip for enhanced ergonomics. The knives within the set have been tested and approved for safe food preparation and use. Whether you keep the Cleveland Browns Steak Knives for yourself or gift them to a friend, this cutlery set is a fan favorite. 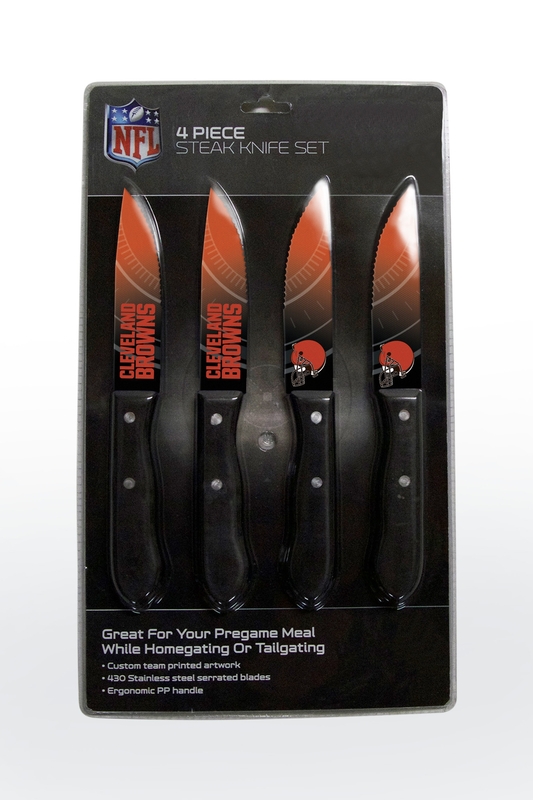 Step up your game and order the Cleveland Browns Steak Knives Set of 4 today.